Ringing of an old vintage phone with mechanical bell ringer. Loopable. 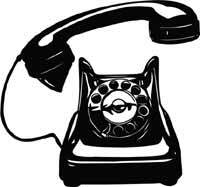 Sound of Bell telephone ring Audio effects for video and animations Bell telephone ring for smartphone or mobile phone Bell telephone ring Ringing of an old vintage phone with mechanical bell ringer. Loopable.